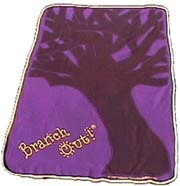 Branch Out!®, is used to promote awareness and understanding of people of all ages and backgrounds, develop appreciation of self and others, and facilitate career development and realization of potentials. It is an interactive, hands-on game played with 2-35 players, ages 5-adult. Branch Out!® is an interactive, hands-on game and curriculum being used in classrooms and within small groups with people of all ages. The symbol of a tree is used to help players visualize personal growth. As a tree has branches, so do we all have different facets of ourselves to discover and nurture. The game is a powerful, non-threatening tool used to promote personal growth, acceptance, team building, career development, and violence prevention. Together, players explore their personal strengths, skills, dreams, and the similarities and differences that exist among them. Through Branch Out!®, we hope to empower people of all ages and backgrounds to nurture their own growth and the growth of others, pursue their dreams, and realize their potential. 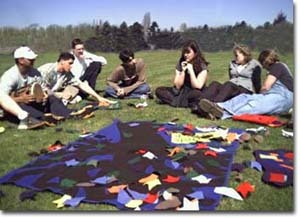 Players sit around the cloth tree playing board and take turns spinning the leaf spinner. 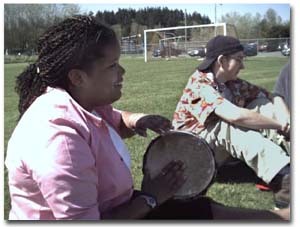 Sometimes large groups can use a musical method of play, where players pass the spinner to the beat of the music. When the music stops, whoever has the spinner is asked a question. Once the player answers the question, they place a leaf on the tree on the playing board. If other players would have also had the same answer, they too would place a leaf on the tree, symbolizing that they have something in common with the person who just shared. There are many creative ways to play. The emphasis is not so much on how the game is played as on facilitating sharing and connecting among players.